Geetha definately makes the best indian food! 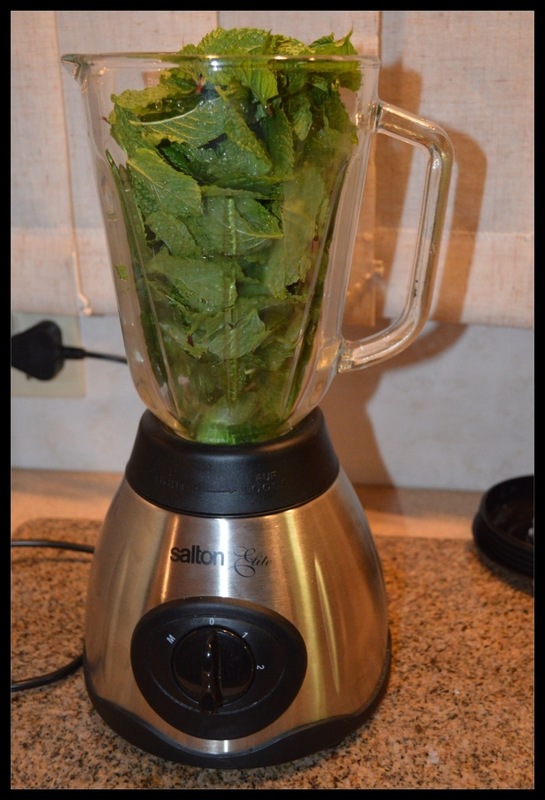 She spoilt us by bringing supper last night: curry, rotis, meatballs and this mint chutney with papadums for starters. 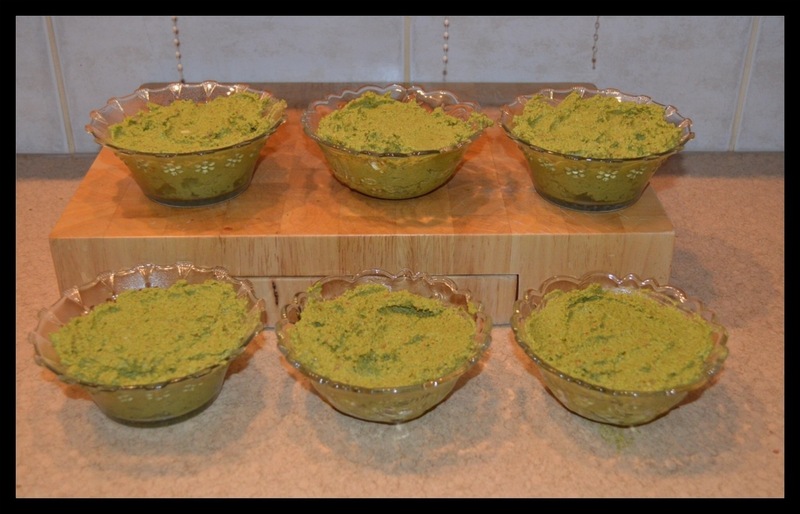 Geetha gave us a cooking lesson the other day and we made a very healthy mint-peanut paté. IF YOU ENJOY GARLIC U CAN ADD MORE. IF U LIKE IT HOTTER ADD MORE CHILLIES. 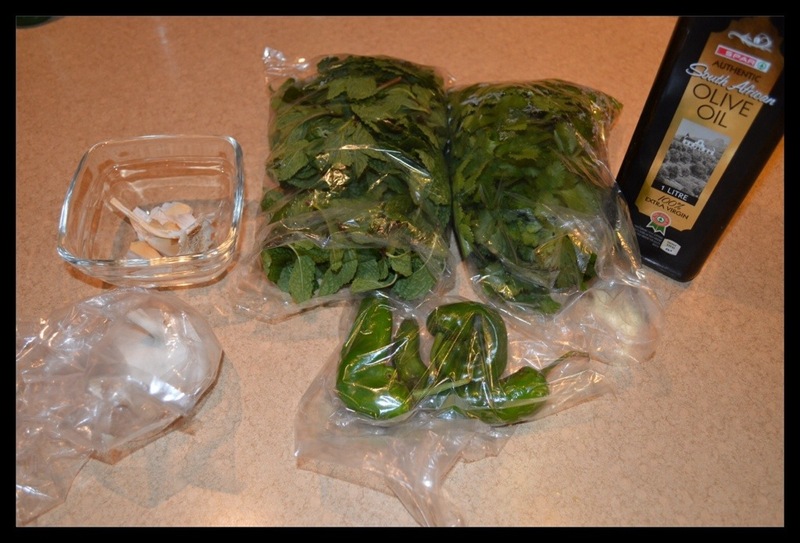 IF U ADD OLIVE OIL, IT WILL LAST LONGER IN THE FRIDGE. 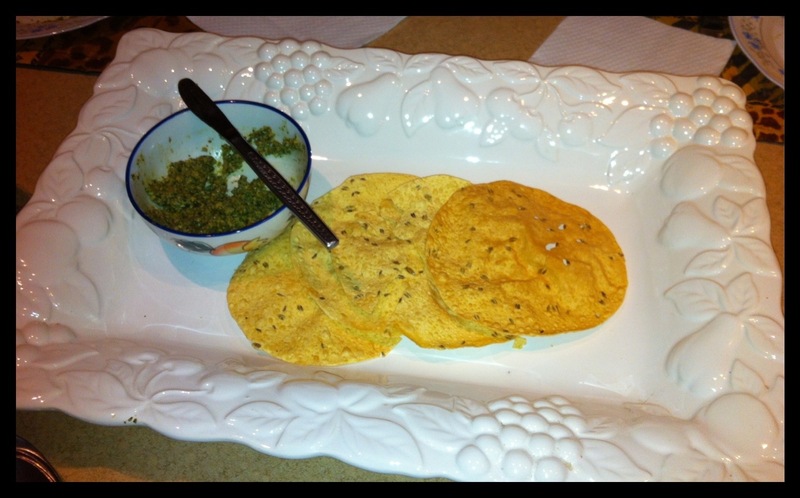 This entry was posted in Food, Snacks & Starters and tagged healthy dip, Mint chutney, mint paté. Bookmark the permalink.